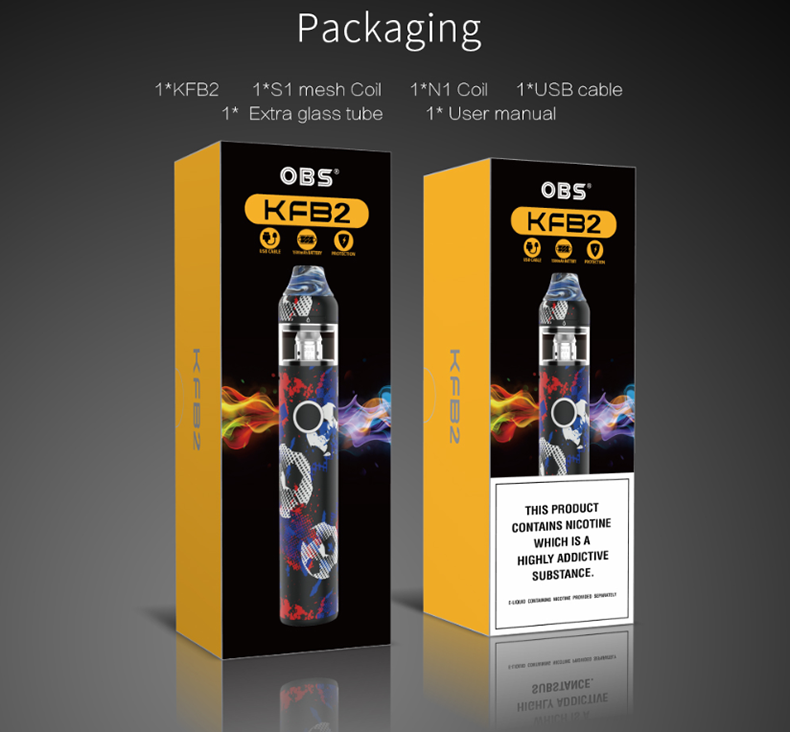 OBS KFB2 Kit is an ergonomic and portable AIO starter kit with exquisite appearance. 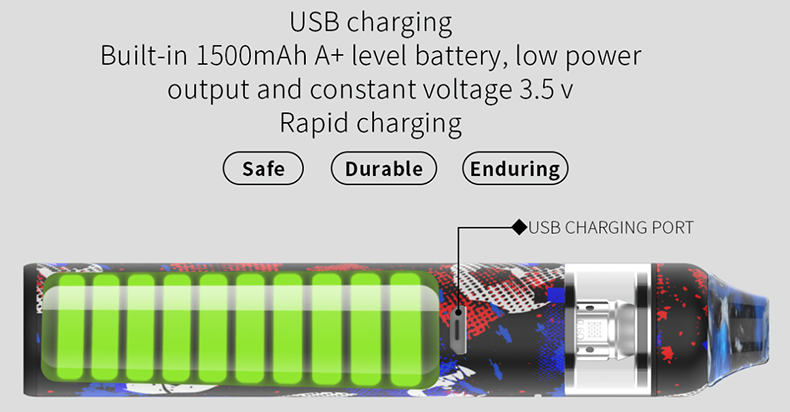 It is powered by built-in 1500mAh A+ level battery. 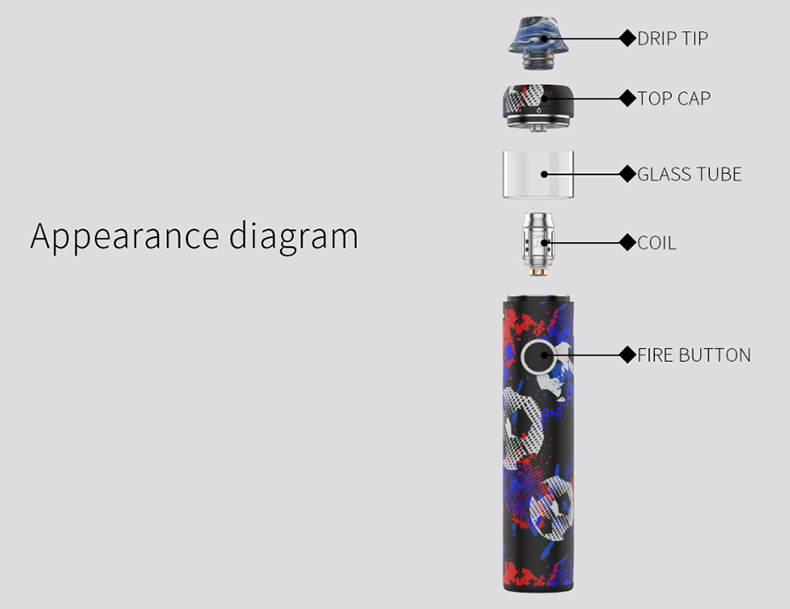 The KFB2 supports low power output and 3.5V constant voltage. 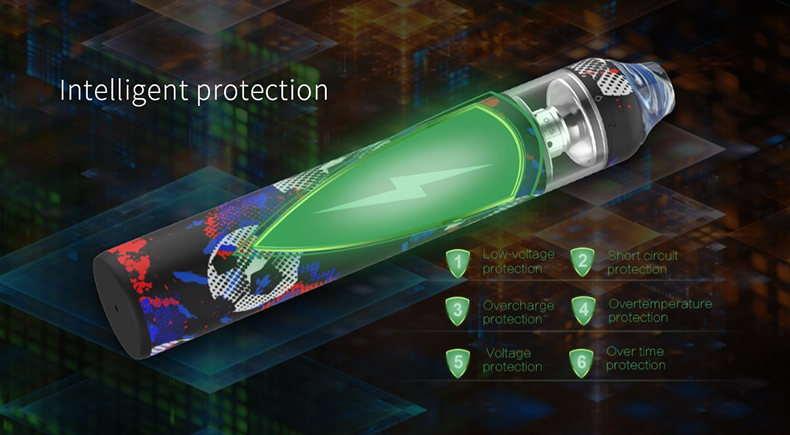 It provides multiple intelligent protections. 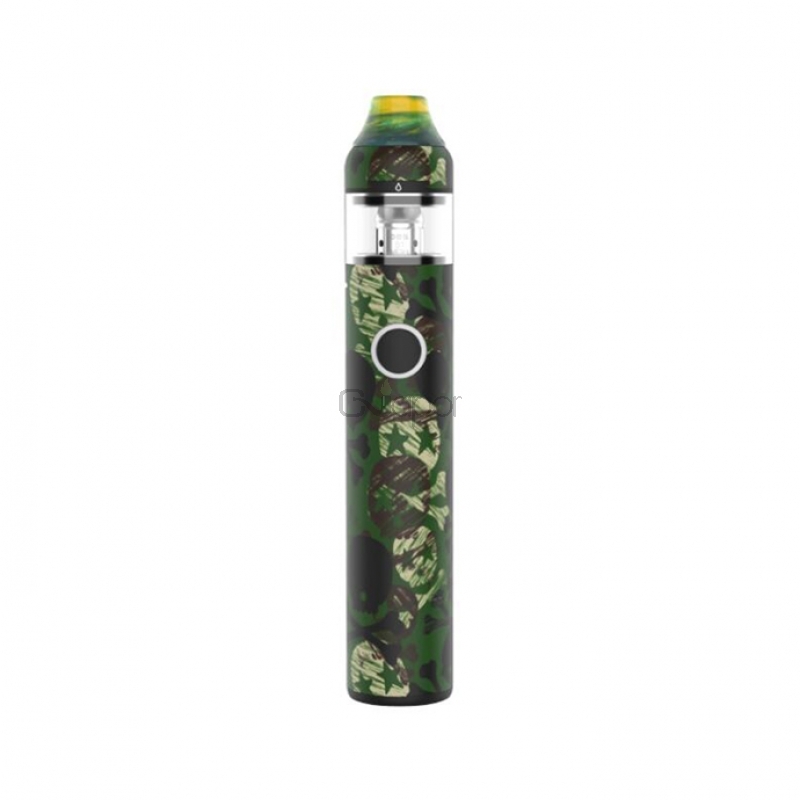 There is only one button, very easy to operate. 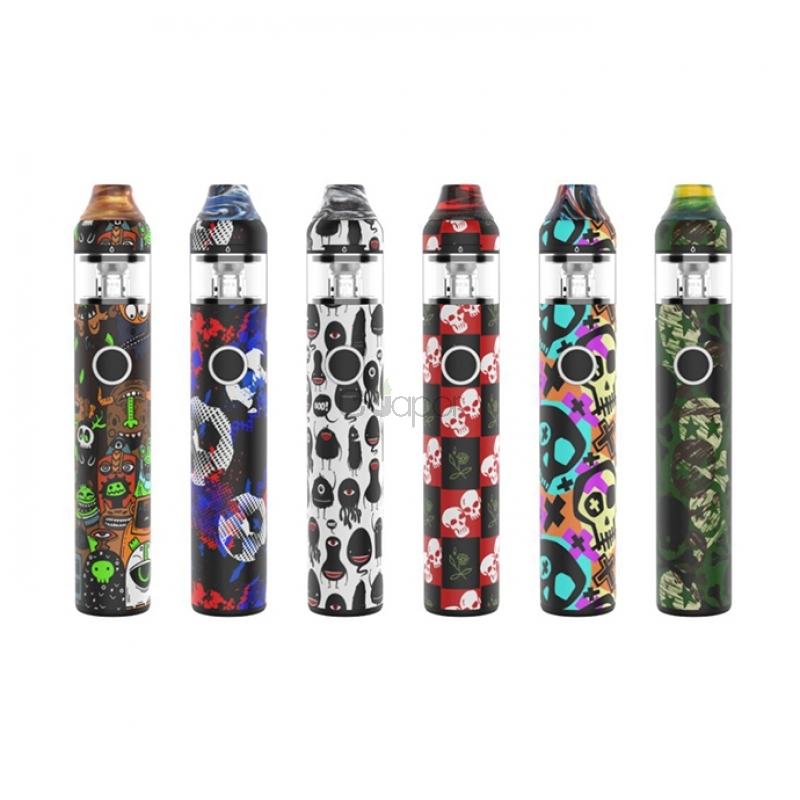 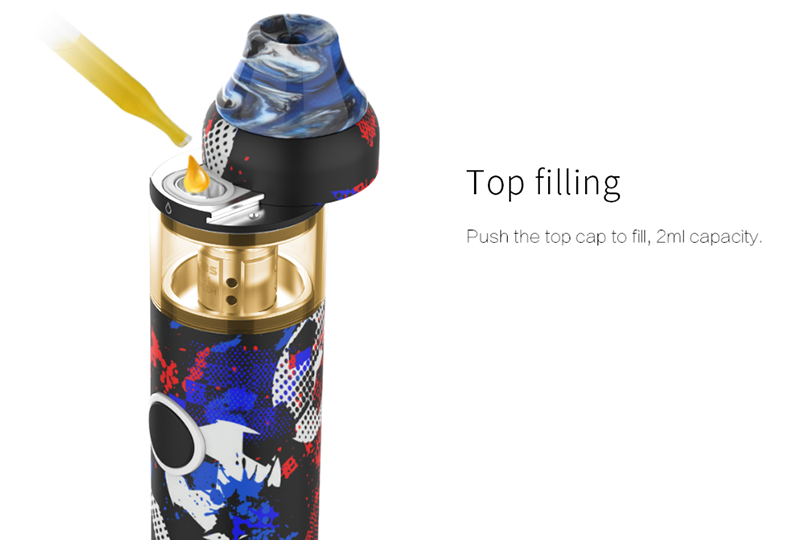 The KFB2 atomizer has 2ml e-juice capacity and adopts top filling design. 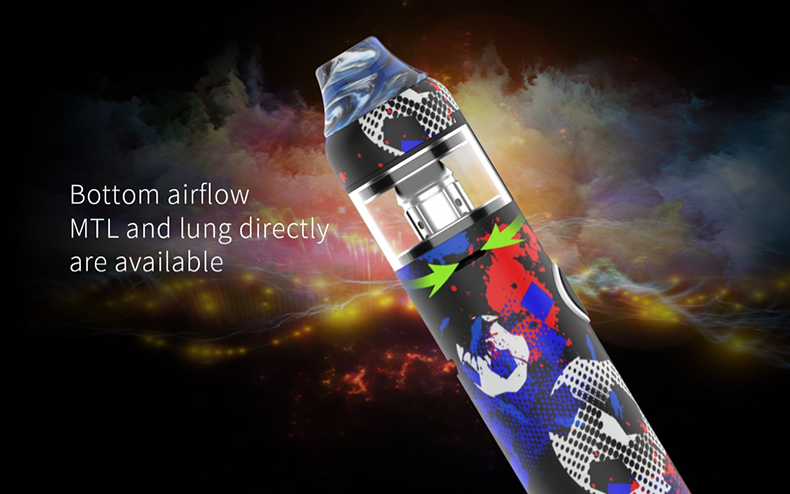 With the bottom airflow, it supports both MTL and DL vaping. 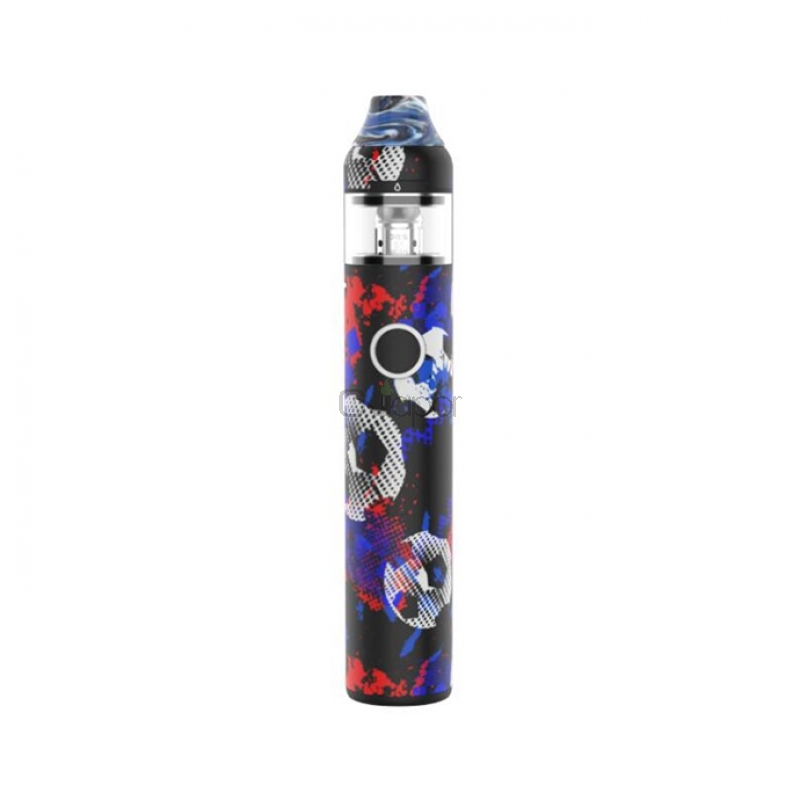 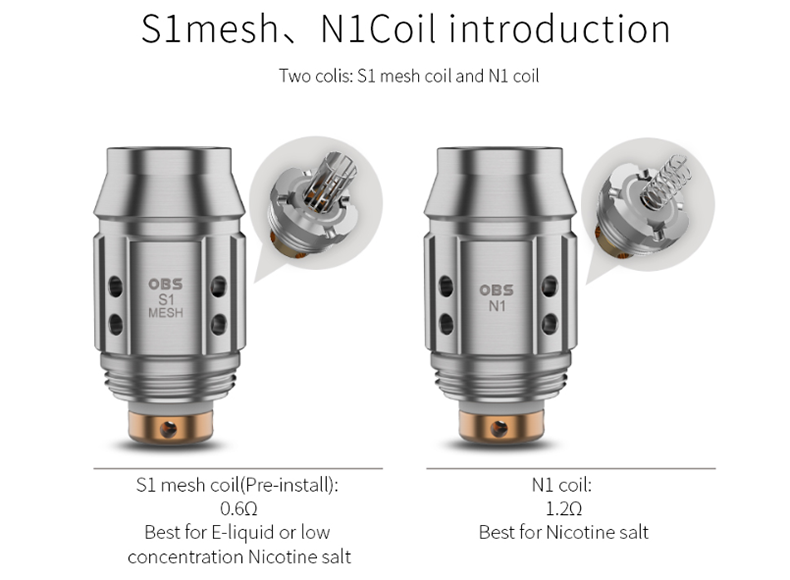 The powerful S1 mesh coil and N1 coil are included. 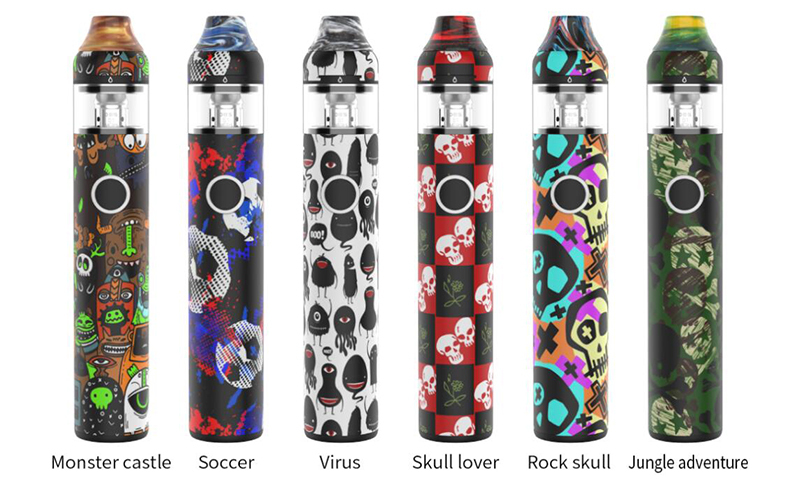 Six color options: Monster castle, Soccer, Virus, Skull lover, Rock skull, Jungle adventure. 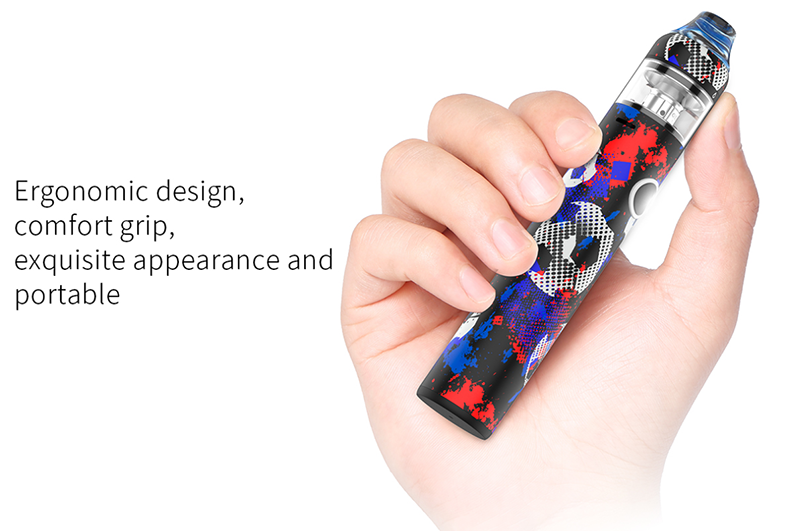 Three Months warranty period for KFB2 Kit.